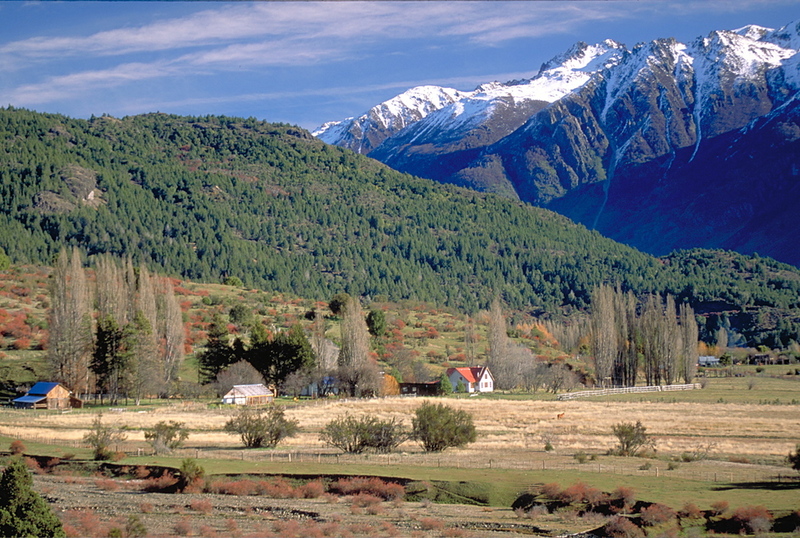 La Rinconada Ranch is set in the lush Lago Rivadavia Valley. The 880 acre ranch has something for everyone. Activities for the adventurous as well as those seeking a little rest and relaxation are all available. The Inn is an updated rustic farmhouse with 4 bedrooms and 3 bathrooms. The Ranch House is a post and beam masterpiece with vaulted ceilings and views of the valley. The Yoga Studio sits just above the Inn on the hill overlooking the valley and offers peace and serenity. The property also offers a shared pool and hot tub as well as an argentine parilla for outdoor dining. Just minutes from La Rinconada, Los Alerces Park offers arguably some of the best Fly Fishing in the world. Rio Rivadavia connects two large lakes in Los Alerces Park. Often guides will start in Lago Rivadavia and make their way to Lago Futalaufquen. 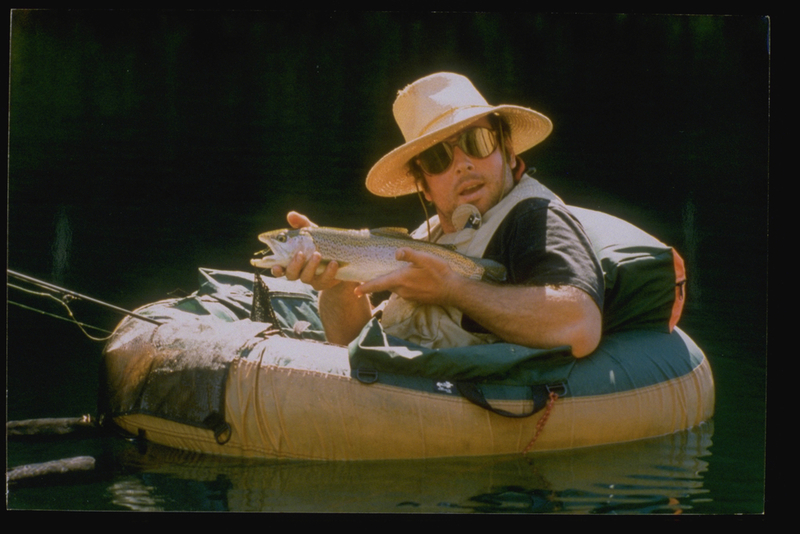 The fishing offers Rainbow and Brown trout with occasional Brookies and Landlocked Salmon, depending on the water temperature and time of the year. Wading and drifting down to Lago Futalaufquen ends the day then its back to La Rinconada to grill up the days catch and enjoy some of the delicous wine the region has to offer. 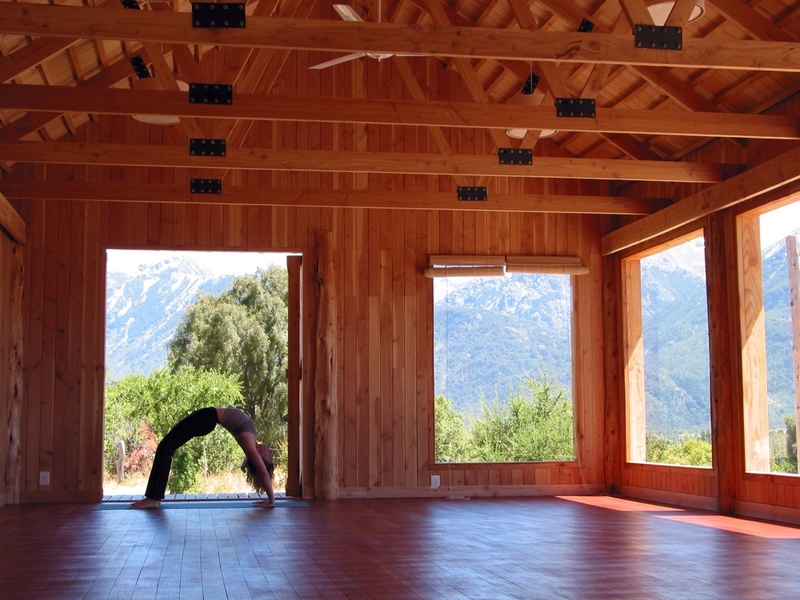 Our beautiful new yoga studio overlooks stunning Andean peaks and the Rivadavia river valley below. When you visit La Rinconada you will have the opportunity to experience Argentina in a unique way.